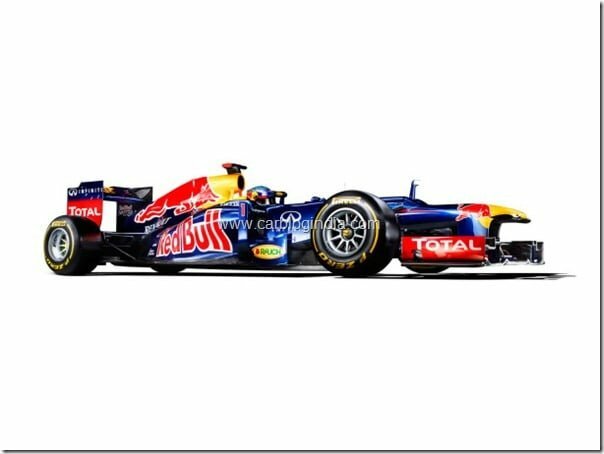 World Champion of Formula 1 2011 Indian Grand Prix, the Red Bull Racing team has revealed the official pictures and video of their next challenger car, RB8, the F1 2012 car for Red Bull Racing team for the coming season. 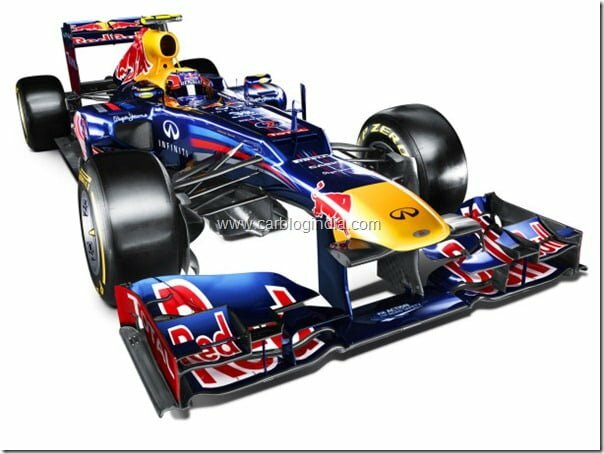 The RB8 is a composite monocoque structure which uses Renault V8 engine. It has a 7 speed transmission with hydraulic clutch and powershift system. The front and rear suspension of the RB8 use aluminum alloy uprights with carbon composite double wishbone design with springs and anti-rill bar with multimatic dampers. The braking system uses Brembo racing grade calipers and carbon discs and pads. The engine control unit is a FIA standard Engine control unit. The engine is a mighty 2.4 Litre V8 and reaches up to 18,000 RPM, it has 4 valves per cylinder and is made up of aluminum cast cylinder block. Sebastian Vettel is F1’s youngest World Champion thanks to his 2010 Drivers’ crown and became the youngest double title-winner after securing a second championship last year (2011). He holds the record for most pole positions in a season, his 15 poles eclipsing those set by Nigel Mansell in 1992. He’s led more laps in a season, 739, than any other driver in history. And there are almost a dozen more ‘youngest’ records that Seb, now a senior driver entering his fifth full season as an F1 racer, would probably rather were left to the annals of the sport. In short, Sebastian’s just a little bit special. The other two drivers racing with the Reb Bull Racing team are – Mark Webber and Test & Reserve Driver Sesebtien Buemi. 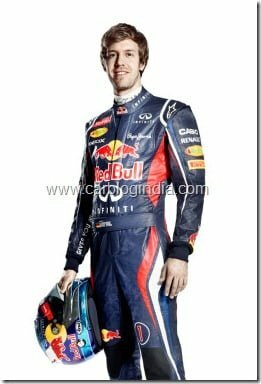 The team has partnered with many globally renowned brands as co-sponsors of the team. You can check out more details on the official website of Red Bull Racing here.